As I have gotten older, the impact of this day resonates more and more. There is darkness and gloom in this fallen world, but Christ has conquered the world. Someone once told me that Easter takes on a whole new meaning when someone close to you dies. Last year, I wrote about how Easter took on a whole new meaning after the passing of my mother. That still is true this year. It is the most audacious thing in the world to believe the Easter message. And that message is this: death is temporary. When we encounter death, it feels like a permanent separation, an ending of our relationships. 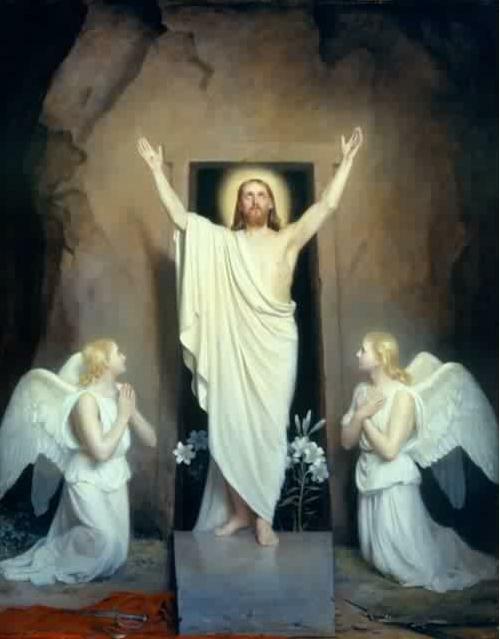 But because Jesus rose from the dead, He has conquered death. Now, death is "falling asleep" and we are all waiting for the new day to dawn! Today is about hope beyond hope. Today we commit ourselves to the belief that light has triumphed over darkness and life has triumphed over death. 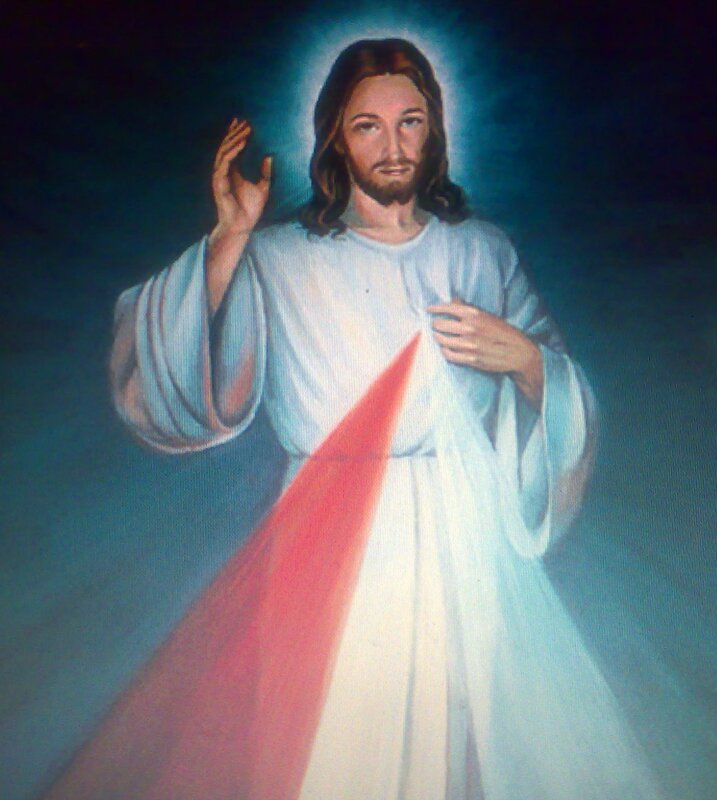 This has been a powerful and profound devotion in my life and many graces have come to me through a devotion to Jesus' Divine Mercy. This past year I have experienced this Mercy in ways like never before. I am more and more convinced that the only reason I havei anything good in my life is because of His Mercy. I look forward to joining all of you in spiritual communion through this novena. In my last post on this subject, we examined the rise of the Marvel Cinematic Universe until right before The Avengers. So far, we had two good financial hits in Iron Man and Iron Man 2. And we had three modest successes in The Incredible Hulk, Thor, and Captain America: The First Avenger. Marvel was not attempting to do something fairly unprecedented: bring them all together into one movie. Cinematic universes are not new. Universal did this with its stable of movie monsters back in the day. But Marvel had a lot more challenges. -Different Studios: Because Marvel had licensed its properties to other studios, using their own characters became complicated. The could not use Spider-Man who was with Sony, nor any of the X-Men, who are licensed to Fox. Iron Man, Thor, and Captain America, were all distributed by Paramount. The Incredible Hulk was produced by Universal. And now, The Avengers was being made by Buena Vista (Disney). This created legal and financial complications like no other. -Balancing the Characters: Story-wise, this movie has a gigantic logistical challenge. Each of the four main heroes are the stars of their own franchise. That meant that each of the main characters could not be reduced to a supporting character. This isn't just a narrative necessity, but going forward, each of these heroes needed to still carry their own film. Reducing them in any way would damage future films. -Sum Greater than Parts: In order for this grand experiment to work, The Avengers couldn't just be equal to the previous hits. It had to greatly surpass them. The risk was high. If The Avengers bombed or even became a modest hit, it would have derailed the entire franchise. And Marvel had everything riding on this. They took out a gigantic loan to finance their studio. If they failed, they would lose the rights to their biggest characters like the Avengers, including Captain America. Marvel gets a lot of flack for not taking chances. I've even hit them on this point. But when you take a big risk that turns out to be a big hit, you often forget what a risk it was. And Marvel took a big risk by turning the writing and directing duties over to Joss Whedon. Whedon had a lot of credibility in the geek culture and fan base because of Buffy the Vampire Slayer and Firefly. But in terms of bankable movie credentials, Whedon was a big risk. He had only directed one other movie:, Serenity, which did not even make back its modest $39 million budget. But they gave him the keys to the kingdom and he delivered. For more detail, you can see my original film review here or my reflection its rank of super hero movies. But suffice it to say that Avengers was a gigantic it. It's domestic take was double of Iron Man, and worldwide it made a total of $1.5 billion. But the real test was to see if this success would translate into bigger box office for the individual franchises or if it was only the Avengers movies that would be hits. 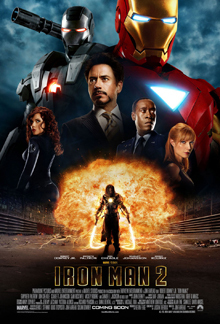 The first post-Avengers movie was Iron Man 3. This one was the most successful Iron Man film, making nearly $100 million more than the other two. Thor: The Dark World made about $25 million more and Captain America: The Winter Soldier made about $85 million more than the original. This is exactly what Marvel needed. Now Marvel looked forward to see if they could launch new franchises. Their first attempt was Guardians of the Galaxy. This was another gigantic risk. In fact, from what I've gathered, Marvel was worried that writer/director James Gunn had done something too strange that wouldn't connect with audiences. I think is evidenced by Marvel pressuring Edgar Wright into dropping his stylistic vision of Ant-Man and in the studio movie Guardians to August where box office expectations are not high. But the bet paid off and Guardians of the Galaxy was the biggest hit of the summer. When Ant-Man was released, it didn't resonate as well and became one of the lowest grossing films, but still ranking around the original Thor and Captain America films. In fact, after Ant-Man, no Marvel movie has made less than $200 million at the box office. That is an incredible track record. Avengers: Age of Ultron did not make as much money as the original, but there were many factors as to why. Whedon stepped away. So who would replace him? Marvel chose the Russo Brothers. When the Russo brothers took over the Captain America films, they not only raised the box office, they made Captain America the heart of the MCU. 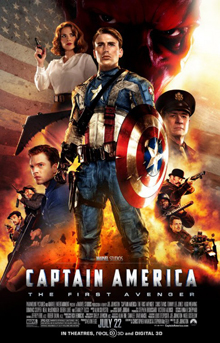 For the third film, the Russos basically made Avengers 2.5, by incorporating the entire Avengers cast but making Captain America the main focus. This third Captain America film made $230 million more than the first one. They proved they could handle the large cast successfully. So they prepped for Infinity War. Marvel's film release schedule is also part of their plan. The timing is important to build up interest in their franchise. It was during this time that Marvel produced their highest domestic grossing film: Black Panther. But the challenge of bringing all of their expanded franchises together again into one film was an even bigger logistical challenge than the original Avengers. We will examine Infinity War and beyond in our next post. Let's address the elephant in the room: The Last Jedi. I have been clear about my overall positive assessment of Episode VIII, despite it's flaws. But the reality is that the last movie in the saga burned many fans. One of my best friends, a life-long Star Wars fan has said that because of how the "ruined" Luke Skywalker, he has no interest in these movies. That is a damning statement and I think it is a feeling shared by many, many fans. Rian Johnson's desire to do something radically different and to defy expectations has led to intense disappointment and frustration. I am convinced that a major reason for the failure of Solo was due to the backlash against The Last Jedi. It is true that there many people who loved the non-traditional path that movie took. But they are not enough to make up for the loss of the long-time fans. Star Wars can survive without the fans brought in by The Last Jedi. It cannot survive without the fans that were turned away. A lot is riding on Episode IX. The main question is can director JJ Abrams win back the fan base. This teaser is Abram's first olive branch to that community. -Great action: The opening moment is set up so well. It is character based, as we get into the emotional world of Rey. But this culminates in an incredibly cool action moment. -Luke: The voice of Luke Skywalker featured so prominently in the trailer is a good touch. It is a nice nod to The Force Awakens teaser, except this time the dialogue is not reconstructed from previous films, but it clearly new dialogue from this movie. That is important because one of the things that burned a lot of fans was the loss of Luke in the last film. -Fixing what is broken: the shot of Kylo Ren's helmet being reforged is important for me. The helmet, which was broken in The Last Jedi, was a symbol of the Star Wars tradition that was being rejected in the last film. The reforging of the helmet is Abrams way of saying that he is picking up the fragments of the broken franchise and putting it back together. -Lando! : This made be giggle with joy. Watching Lando laugh as he pilots the Millennium Falcon was a nostalgic shot in the arm. I like that he's wearing his outfit from Solo. A friend of mine said he imagined Lando putting it on, looking in the mirror and saying, "Still fits!" -Return of the Jedi feel: The shots of the heroes on a skiff in the desert evoke a strong sense of Return of the Jedi, which is a good thing. -Emotional reunion: I'm not sure of the context the Leia scene, the emotion of that moment was strong on many levels for me. -Evil laugh: There is some debate as to who is laughing, but I think that it is clearly Palpatine. Again, this is Abrams reaching into the Star Wars past and bringing it into the present. -Title: I LOVE the title! One of the things that bothered many people, including me, was that Star Wars seemed to be rejecting the Skywalker saga in favor of less interesting story elements. The Rise of Skywalker could mean many things: Luke, Kylo Ren (who is a Skywalker), or even Rey (I still stand by my theory about who she really is. Regardless, this is the first Star Wars movie with "Skywalker" in the title. And that makes me very happy. Movie critics keep telling me that audiences are about to experience "super hero fatigue." This means that the genre of comic book movies is too saturated in the film industry and people will soon become sick of it. This will lead to waning interest and diminished box office returns. And they've been saying this for at least the last 5 years. But that bubble has not popped and Captain Marvel is not the one to pop it. Captain Marvel, like Captain America: The First Avenger, is set in the Marvel Cinematic Universe before the events of Iron Man in 2008. The story is centered on Vers (Brie Larson), a warrior for the alien Kree Empire with extraordinary powers. These Kree have been in a perpetual state of war with the shape-shifting alien Skrulls. Vers, under the training of her mentor Yon-Rogg (Jude Law), has a skirmish with the Skrulls and their leader Talos (Ben Mendelsohn). This leads her to crash land on mid 1990's Earth, where she encounters a younger Nick Fury (Samuel L. Jackson) who aids her in her quest to stop the Skrulls. Along the way, Vers begins to discover that she had a past on Earth that she does not remember and that not everything she believes is at it seems. There was a lot of buzz going into this movie both good and bad. I know a number of people that were turned off by star Brie Larson's comments about "white dudes." In addition, the directors Anna Boden and Ryan Fleck indicated that the film was going to have politicized tone. But I went into the film with an open mind and I found it to be highly entertaining. The only time the movie feels off is when the filmmakers decide to be heavy handed with their material. While our hero remembers training in the US Air Force, we hear the snickering of the men who say she won't fly because she's a girl. We get obnoxious macho dudes who condescendingly tell our hero to smile. And during a climactic fight scene they inexplicably play No Doubt's "I'm Just a Girl." Wonder Woman was also a super hero movie that raised up a strong female lead, but that movie had a bit more grace and subtlety. Each time Captain Marvel tried to score ideological points, it felt out of place and took me out of the film. Thankfully, these moments were not as common as I was led to believe. Most the film follows standard origin story fare. The action sequences are fun and well-paced. While this was one of the more modestly budgeted Marvel movies, nothing in it felt cheap. The effects they used to de-age Samuel L. Jackson and Clark Gregg (who reprises his role as Agent Coulson) work well and never break the suspension of disbelief. And the film is well paced as they set out the bread crumbs of Vers' past to make the piecing of it back together the central mystery of the story. As a card-carrying member of Generation X, I thoroughly enjoyed the look and feel of 1990's America. The references to Blockbuster and grunge music made me nostalgic for that era. However, the effect could have been much more immersive. This could have devolved into a series of gags about the era, but I also can see that the directors did not really push to make a stronger sense of the period in Captain Marvel as they did in Captain America: The First Avenger. Most of the former feels like it could take place today. But all of the latter feels of a particular bygone era. Larson's performance has been polarizing, with some loving it and some hating it. I think her work is being judged through the lens of her words and actions outside of the movie. Her character is a smug, cocky, smart Alec. If you do not like Larson, you will find these traits insufferable. If you like her, you will find them charming. Based purely on the context of the movie, Larson infused her character with enough charm to make her arrogance endearing in the same way that Robert Downey Jr. does with Tony Stark. She struts into the room full of confidence so that we buy into the idea that she is often the most powerful person in the room. Nick Fury tends to be the person in the MCU who holds all the cards. But it is a refreshing turn to see him almost like a wide-eyed innocent. Jackson plays him as a skilled but slightly fumbling agent who is on his way up. Law's performance is fine, as is Annette Benning who plays (among other things) the manifestation of the Kree AI Supreme Intelligence. Mendlesohn still chews the scenery as he does in all his other movie roles like the ones in Rogue One and Ready Player One, but when done under Skrull makeup, it feels a little less overwhelming. Captain Marvel wrestles with some big ideas like war, identity, and dignity. These are very strong areas of interest for a Catholic world-view, but the movie does not go as deeply as it thinks it does. For example, it tries to say that seeing your enemy as simply evil is wrong. The movie thinks it enters into some deep insight. But then it returns to this same outlook by the end of the movie, even if it doesn't mean to do so. I am not opposed to either theme being presented, but the film is not consistent about what it wants to say. All-in-all, Captain Marvel is one of the better origin movies that could have been great if they avoided agenda over story. Currently standing at over $18 billion in revenue, the Marvel Cinematic Universe is the most financially successful movie franchise in history. To make this an even more incredible feat, the MCU is only a little over 10 years old. We've had super hero films for decades, but they tended to be sporadic, not like the ubiquity we find today. In 1997. Batman and Robin, was such a critical and commercial bomb that most studios that were developing super hero properties halted production. A year earlier, Marvel had declared bankruptcy and cut a number of staff members. To make money, Marvel had licensed film rights to its characters to various studios (many of whom halted development). Universal had Hulk. Sony had Spider-Man. Fox had X-Men. New Line had Blade and Iron Man. 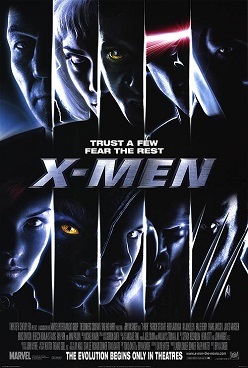 Blade became a moderate hit and X-Men a full-blown hit (which has since been credited with re-vitalizing the super-hero genre). But Marvel made little to no money from these deals. So that's when they decided to form their own production studio so that they could manage their own cinematic properties. This also gave them the idea to do in the movies what they had always done in the comics: build a cinematic universe. But in order to do this, they had to start with just the right property. While he was known well by comic book readers, Iron Man did not have nearly the same name recognition as Spider-Man or Hulk. But director Jon Favreau was tapped to bring this character to life. In order to guarantee a huge box office return, Marvel wanted to cast as Tony a big movie star... Tom Cruise! Jon Favreau instead fought tooth and nail to have them instead hire Robert Downey Jr. It seems incredible to think of this now, but Downey Jr. was considered an incredibly risky choice. His personal struggles with addiction and prison had been well-documented in the press. He even lost out on some jobs because insurance companies would cover him for the film shoot. Also, his highest grossing film to date was Back to School at $91 million, in which he played a supporting role to star Rodney Dangerfield. This is not to lesson Favreau's vision or the word of studio heads Avi Arad and Kevin Feige. But someone had to become the face of the MCU and that was Robert Downey Jr. The opening scene of Iron Man was crucial because in those few moments, we get a strong sense of Tony's character and charisma in a way that only Downey Jr. could do. Downey Jr. is a fantastic actor. A look at some of his work in films like Chaplin should be proof enough. But audiences had to fall in love with Tony Stark. And in his performance, Downey Jr. created somebody who, even at his worst, was so incredibly cool and likeable that men wanted to be him and women wanted to be with him. At the same time, he gave an incredibly deep performance as a man who comes to terms with his own redemption. I still am so moved by how Downey Jr. delivers the lines to the dying Yinsen: "You saved me." Incorporated in this was Favreu's solid action direction while crafting the classic hero origin story. One of the reasons these film resonate is that in order to be harmonious with the universal hero myth, the story has to touch on essential eternal truths about human nature, morality, and goodness. The hero can be flawed, as Tony clearly is. But his path to heroism must be a growth out of selfishness to selflessness. And we saw this begin in Iron Man. And then at the end, the bold introduction of Nick Fury and the Avengers Initiative hinted at something much larger than a mere sequel. Marvel developed another movie at the same time as Iron Man: The Incredible Hulk. This character had much more name recognition, but it was a reboot of the character a mere 5 years after another reboot that was poorly received by critics and audiences. This movie had a great actor in Edward Norton in the lead. It was also a much better film than Ang Lee's muddled mess. But audiences did not respond strongly. In fact, The Incredible Hulk did less than half of the box office as Iron Man. This did not bode well for future plans, even as Tony Stark made a cameo at the end of that film pointing to the upcoming Avengers. It would appear that this gave Marvel a bit of pause. While The Incredible Hulk was not a bomb, it reminded them that there was no guarantee of success. In fact, in order to build to the Avengers, each film leading up to it had to be successful enough to not only gain a good return, but build enough interest so that The Avengers would be more successful than all of them. This pause led to one of Marvel's greatest box office strengths, but also it's greatest creative deficit: course correction. Marvel will experiment a bit with their film formula, but only inasmuch as it gives them a bigger return. They hire very talented directors, but they keep tight control over a number of the creative aspects so that the films look and feel incredibly similar. We can see this play out in Iron Man 2. Reportedly Favreau wanted to take the movie in some new creative directions. Marvel wanted to a repeat of the original hit (you can see this allegory play out in Favreau's following indie film Chef). The Incredible Hulk lacked a lot of the dry wit and humor of Iron Man, so Iron Man 2 was heavy with the quips. The sequel was about as successful as the original, but it did not generate the kind of love that people had for the first Iron Man. 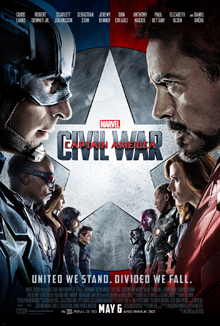 Marvel held its breath as it released the its last two set up movies the following year: Thor and Captain America: The First Avenger. For Thor, they cast relative unknown Chris Hemsworth in the lead. To direct they picked Kenneth Branagh, best known for his Shakespearean films. This film introduced other worlds and magic. But like Iron Man, it mixed in good deal of jokes with the action. Thor made $130 million less than Iron Man, but it was enough to not a moderate hit. Captain America, played heavily into the tone and format of old 1940's serials in an over-the-top style. This movie did about $10 million less than Thor, but again it was enough to not be a bomb. But everything in the great Marvel experiment hinged on the next film The Avengers. This movie only matched the average box office of the previous Marvel movies, then the MCU would have been a failure and Marvel would have lost more than you know. Why?